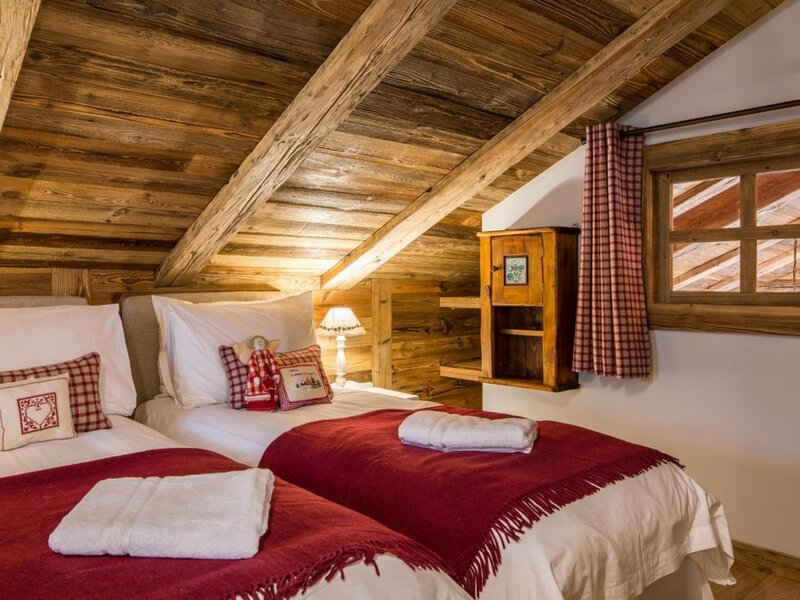 La Grange au Merle by Clarian Chalets is a newly renovated traditional Savoyard farmhouse. 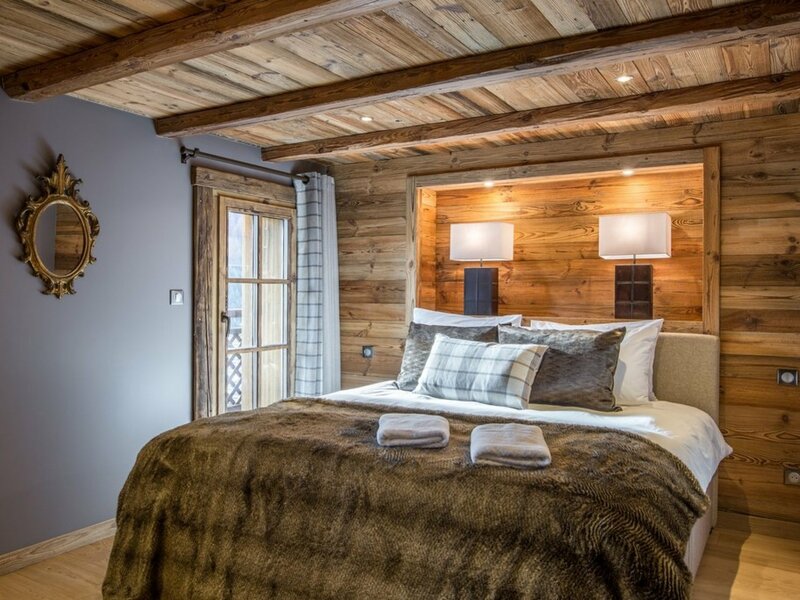 Professionally staffed, this luxurious ski chalet sleeps up to14 guests in 6 spacious en-suite bedrooms. 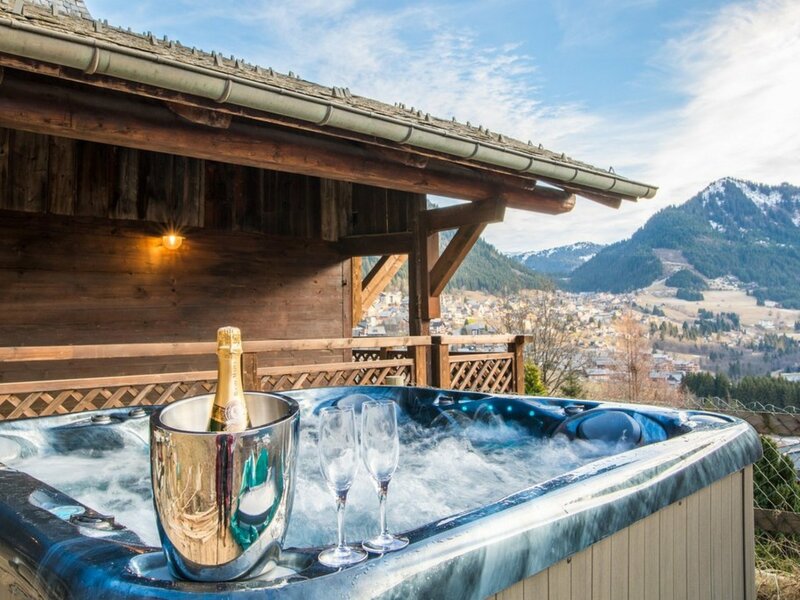 With in-resort chauffeur, childcare packages to keep everyone entertained and an outdoor hot-tub, sauna, roaring fire and stunning views we provide a full ski holiday package. 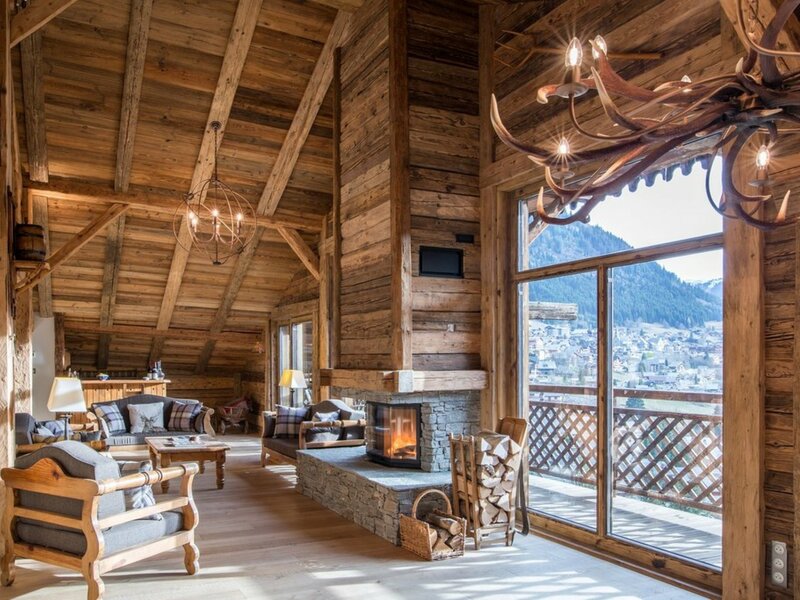 The heart of the chalet is the double height open plan living space which opens onto a south facing balcony overlooking stunning mountain scenery. 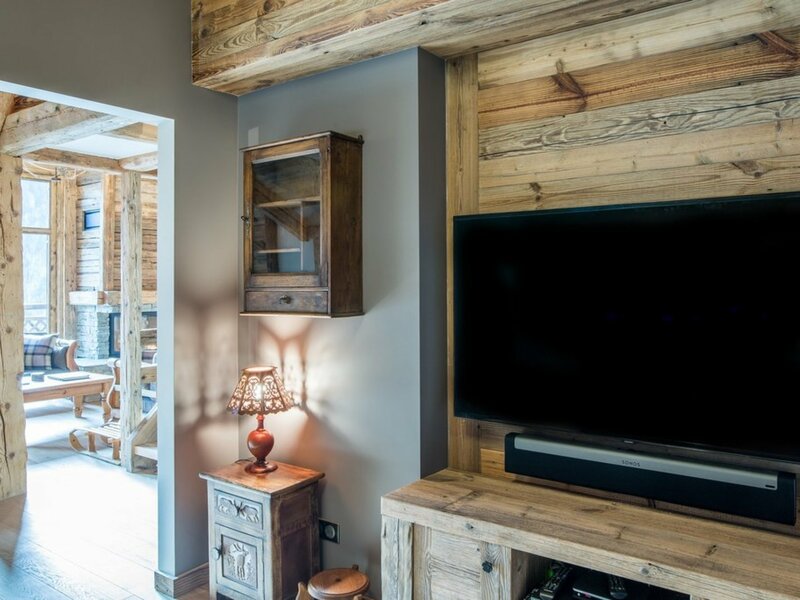 With a feature log burning fire, cocktail bar and dedicated TV snug/playroom there is something for everyone. 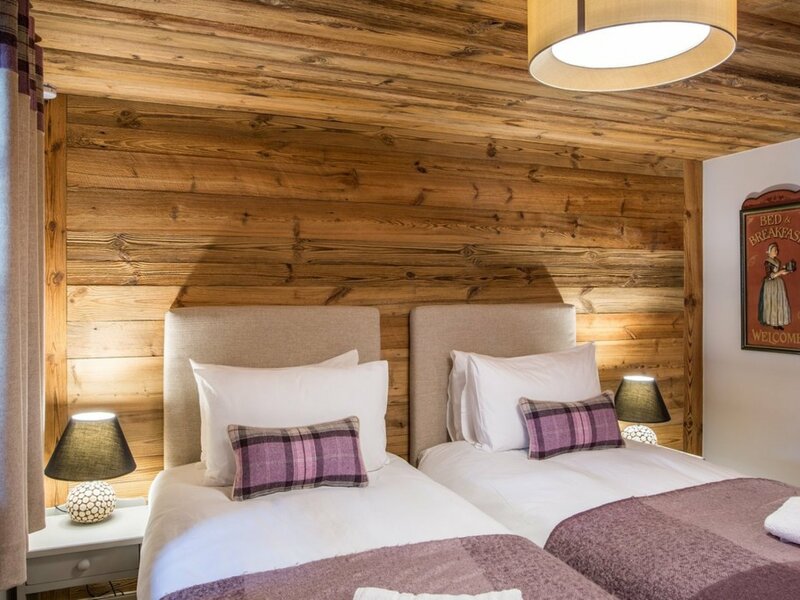 Six tastefully decorated ensuite bedrooms accommodate up to 14 guests (including a family suite of a double room and joining bunk room). 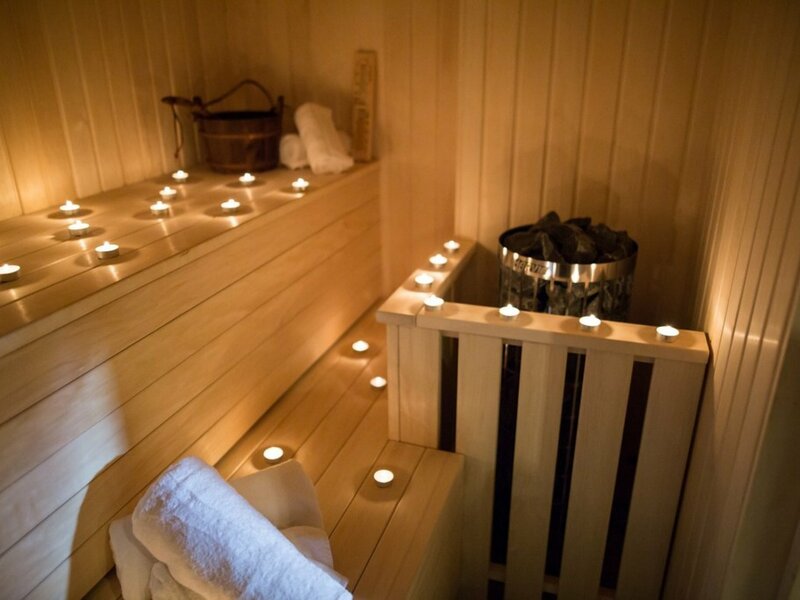 Many of the bedrooms have direct access to the balcony or garden terrace where there are enclosed gardens, an outdoor hot tub and an enchanting childrens playhouse. We pride ourselves in catering for both friends and familys seeking a holiday which provides plenty of action and indulgent quality time. For children, Châtel holds the Famille Plus award and we offer fun, adventurous childcare options in the care of professional nannies. 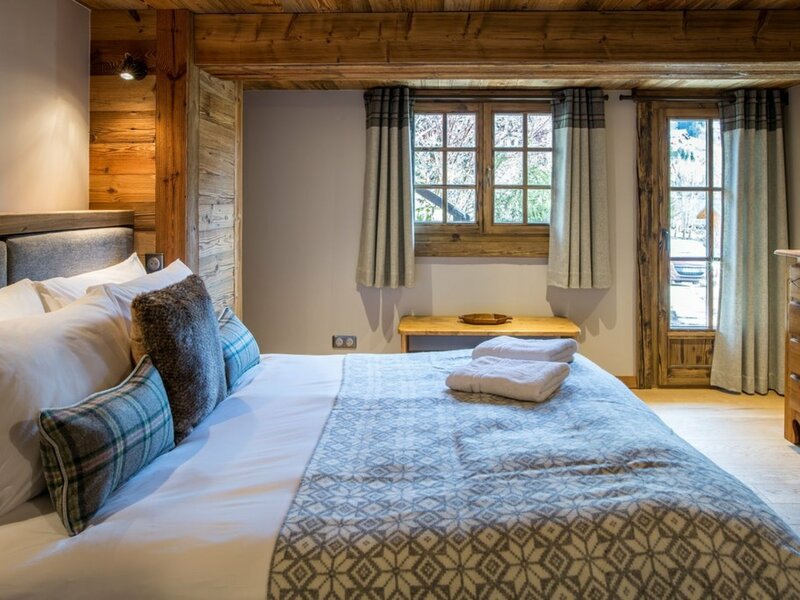 For the adults, the carnozet can be found in the cave under the chalet with an enticing selection of wines waiting to be savoured. 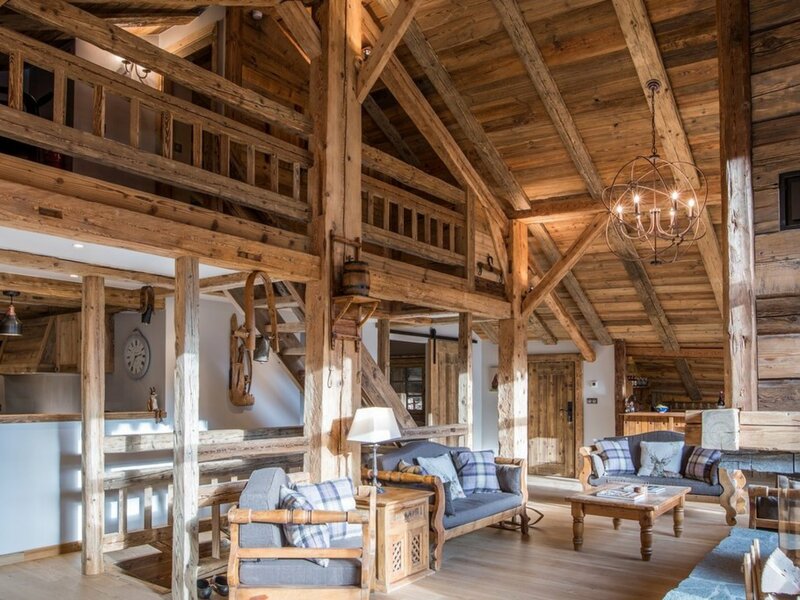 Perfect for an evening after a thrilling day in the beautiful Portes du Soleil ski domain. 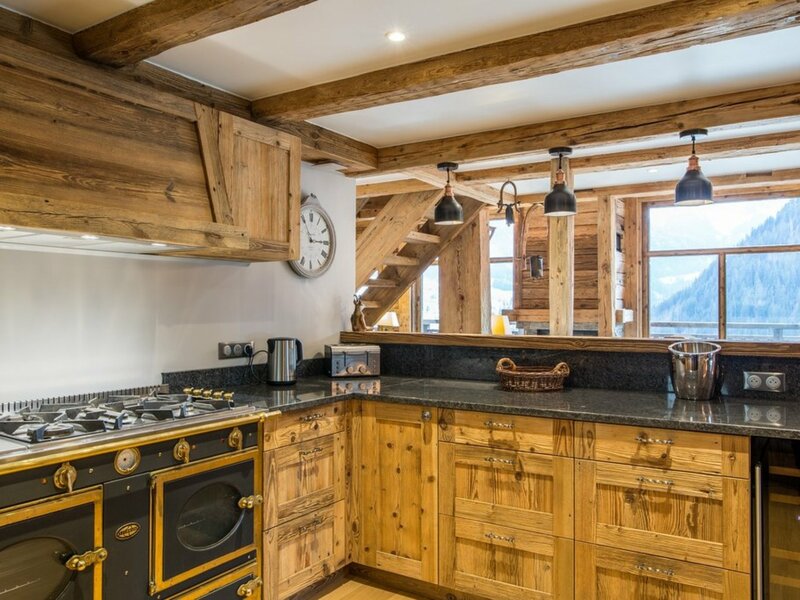 During winter months La Grange au Merle offers fully catered accommodation with professional Chef and Chalet Manager. 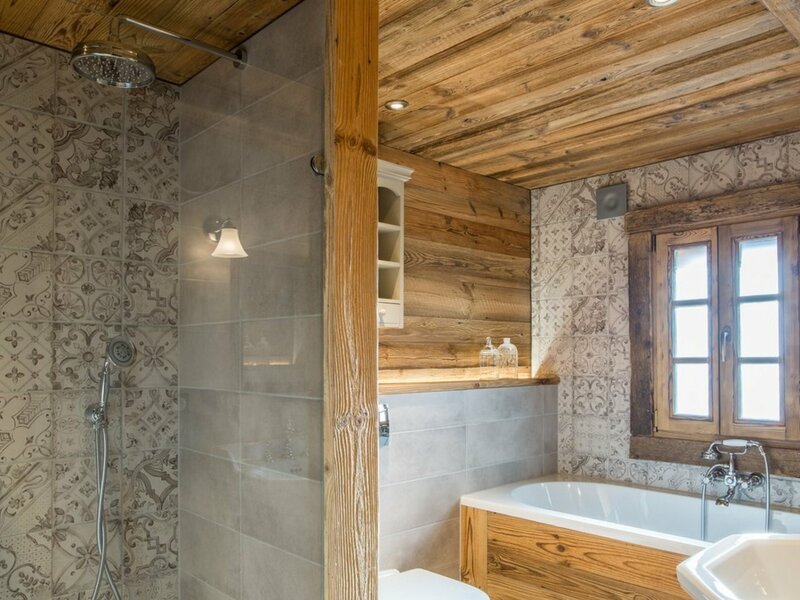 During summer the chalet is available as a self catered property. Mouthwatering meals created by your dedicated chef are included in the price of your stay. This covers hearty breakfasts and home baked afternoon teas. In the evening early diners can be provided for children, while adults are treated to canapés and a sumptuous 4 course meal with selected wines, beers and soft drinks. 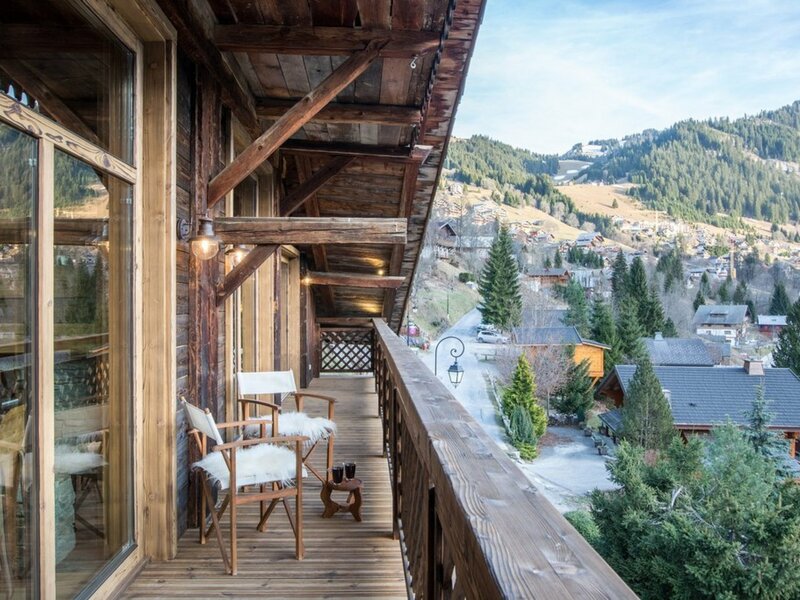 The chalet team have one day off each week, during which time we will arrange an evening babysitter if required, allowing you to take advantage of the fabulous restaurants available in Châtel. Your Chalet Manager will ensure your holiday runs smoothly. Additional services will be arranged, restaurant reservations made and advice on the resort provided. To ensure you spend as much time as possible enjoying the resort your Driver will transport you to the slopes and be available during the day as needed. - childcare for our most valued younger guests with mature and professional nannies. Ski school pick-up and plenty of active outdoor fun ensure children and parents have a great holiday. 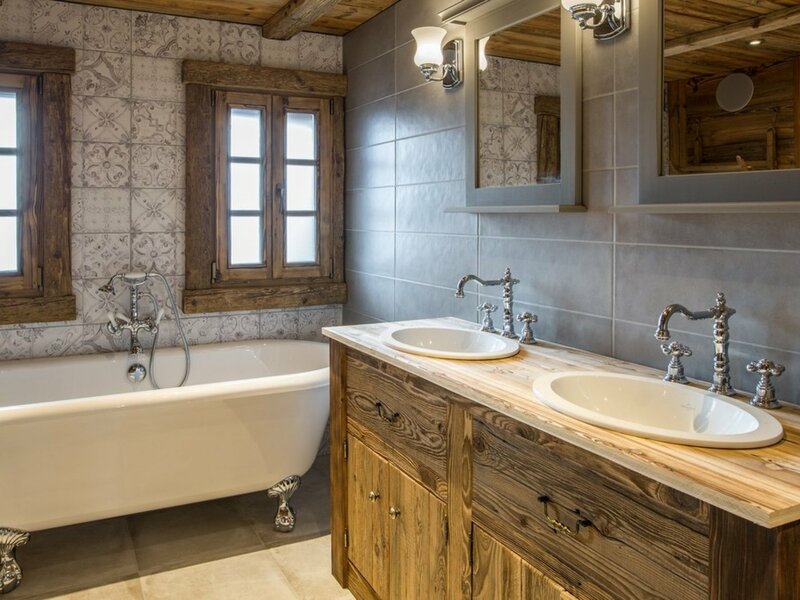 La Grange au Merle is a pleasant 10-15 minute stroll from the Châtel village square. 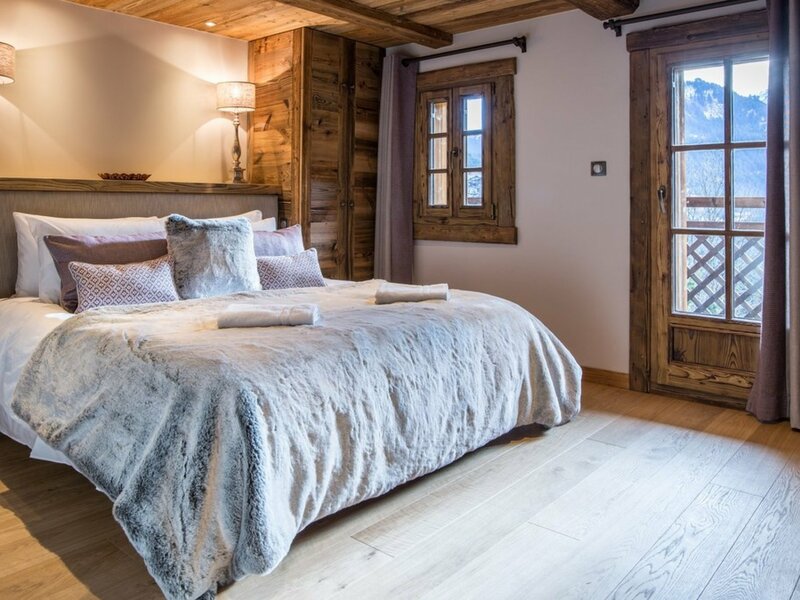 Chatel is a picturesque Savoyard village perfectly positioned on the Swiss border, surround by majestic mountains and sitting at the heart of the Portes du Soleil ski area. 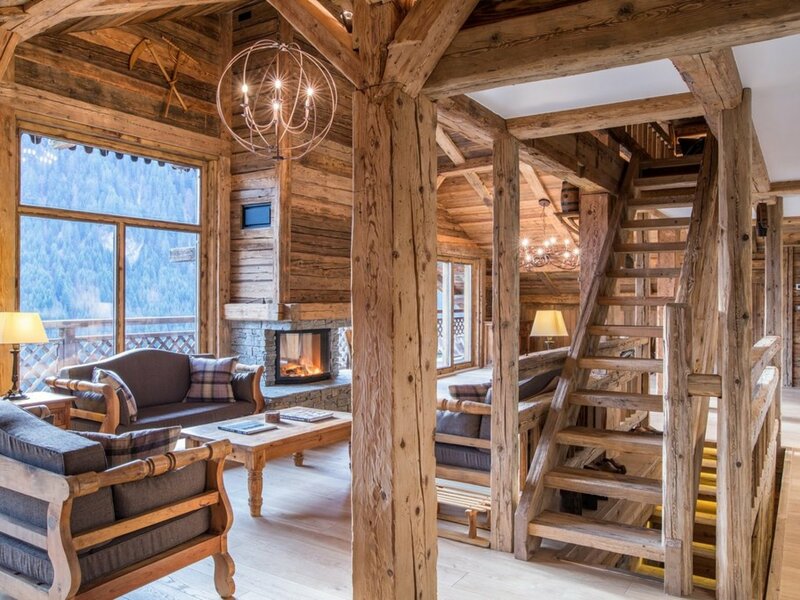 At a height of 1200m it holds an enviable snow record and offers unparalleled access to the slopes. 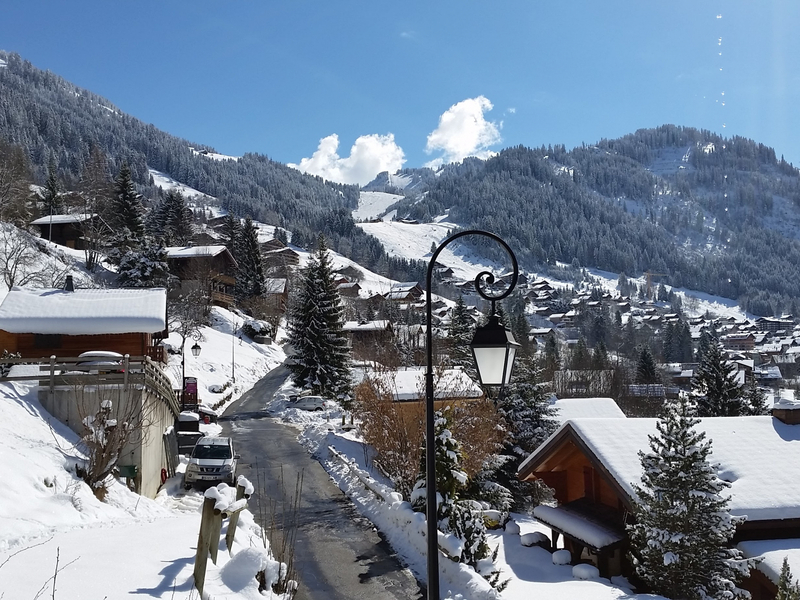 Châtel, a 90 minute transfer from Geneva, has developed into a major ski resort without loosing its traditional alpine character. 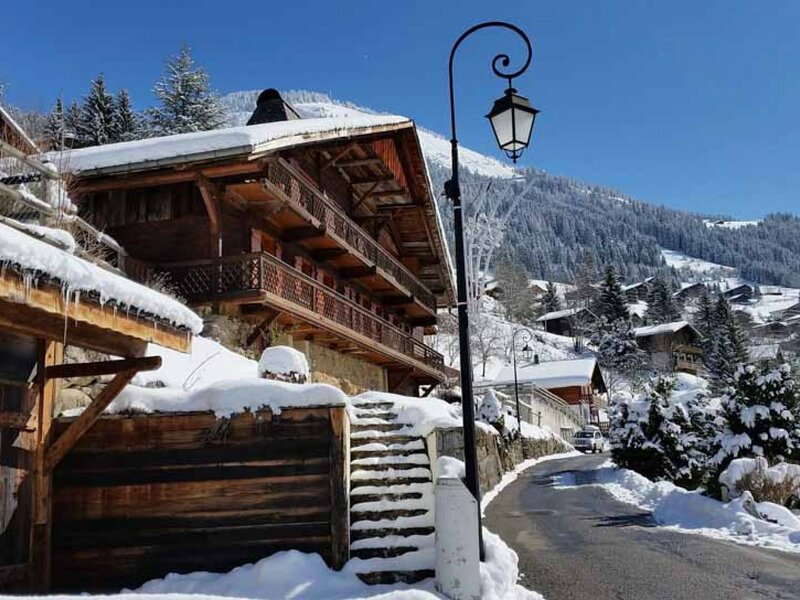 Shops selling locally produced cheese and saucisson rub shoulders with aprés-ski bars and restaurants, serving everything from a quick steak frites to fine dining and hearty Savoyard cuisine. For the children and young at heart there is a new leisure facility, sledging runs and ice rink to keep you entertained. 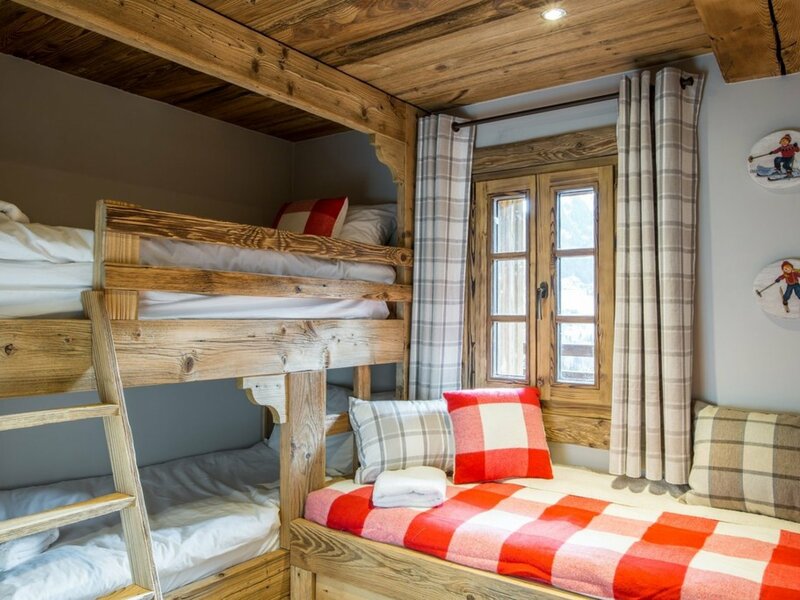 - 6 bedrooms (5 en-suite); including a family suite consisting of a double room and connecting bunk room. 4 bedrooms have access onto a balcony or garden terrace. 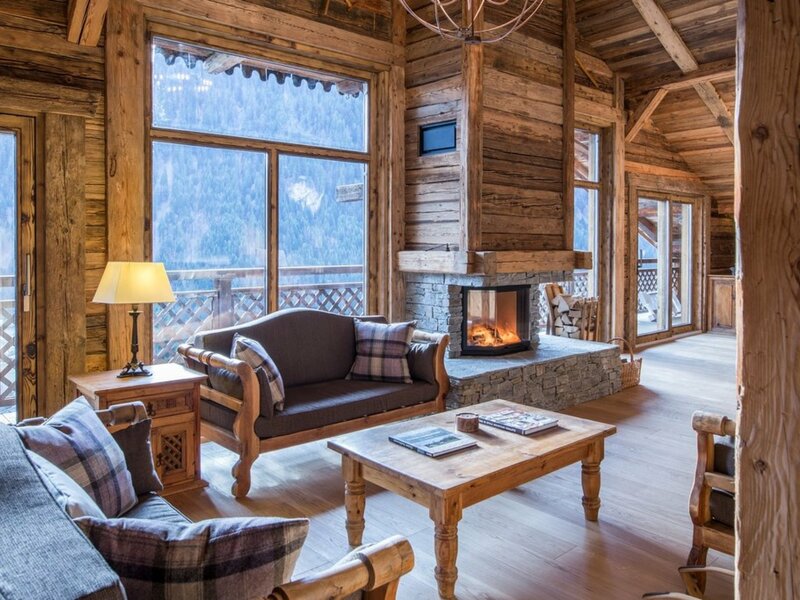 Whole chalet price is based on a maximum of 10 adult guests. Supplement applicable for additional adults.